When Illamasqua ran a 50% off offer online last week when they got 50,000 twitter followers, I felt like all my dreams had come true. Okay, that might be a slight exaggeration, but I did take it as the perfect opportunity to make my first purchase from Illamasqua! 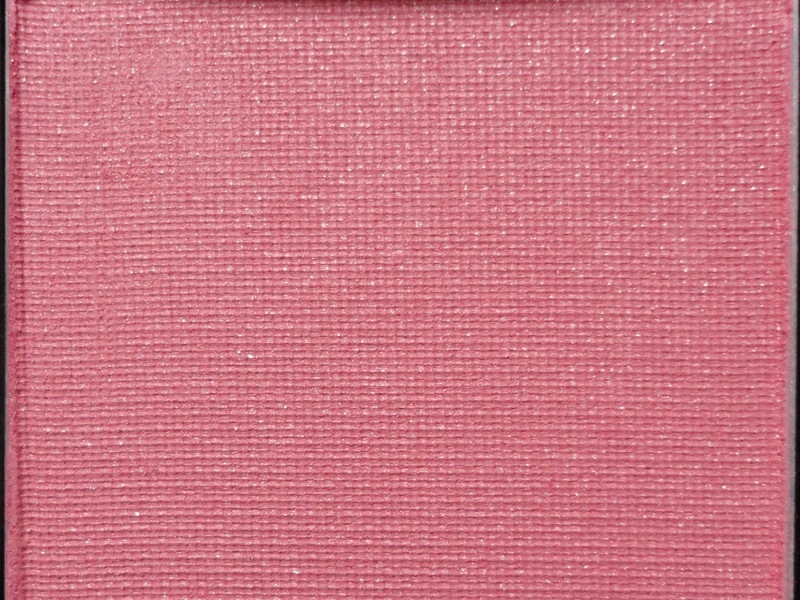 After some quick research on what to buy, I decided another blush to add to the collection wouldn't do any harm, and after umming and ahhing over the cream blushers, I settled for a powder one. 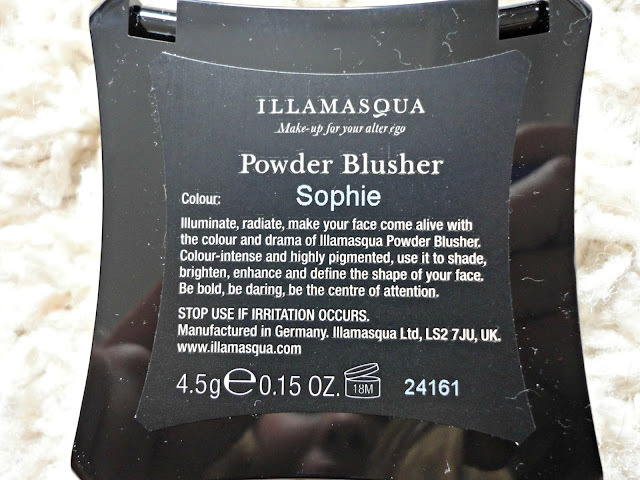 The particular shade I bought was SOPHIE, not only for the beautiful colour, but also because £1 of the purchase goes towards the Sophie Lancaster Foundation, which you can read more about on the Illamasqua website. So, onto the actual blusher. 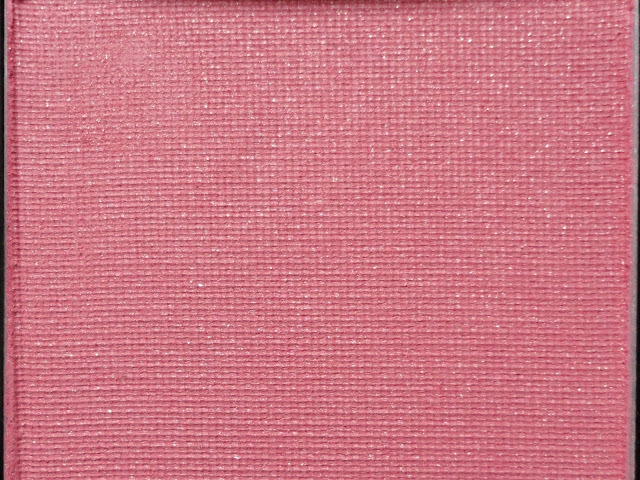 The Illamasqua website describes it as a Golden Coral Shimmer, and if you read my blog, you will know that that is my idea of a perfect blush. 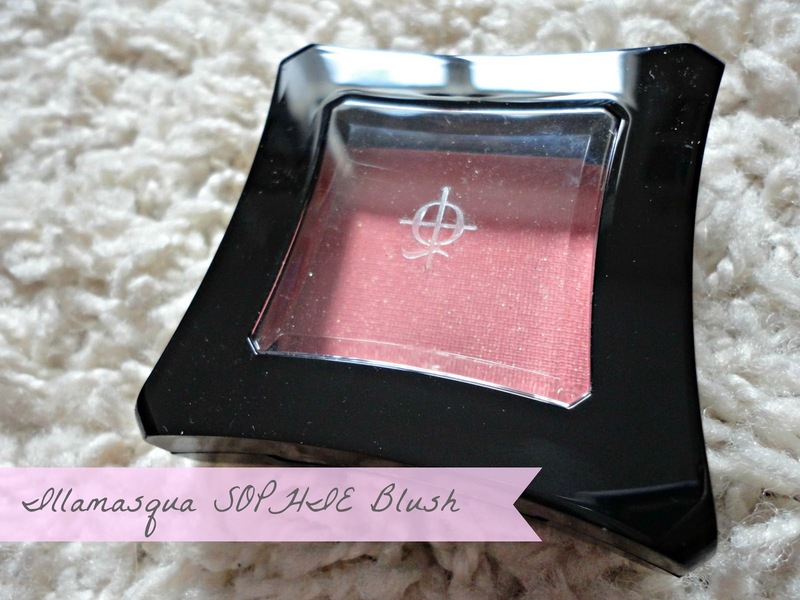 So, I was intrigued to try out the powder blush and after reading a couple of reviews online, I thought I'd give it a whirl. The pigmentation of these blushes is like nothing I've ever tried before. You literally need to dab your brush into the pan and that's all you'll need for a soft glow! Therefore, I wouldn't recommend this to the heavy handed among us, unless you want bright pink cheeks. 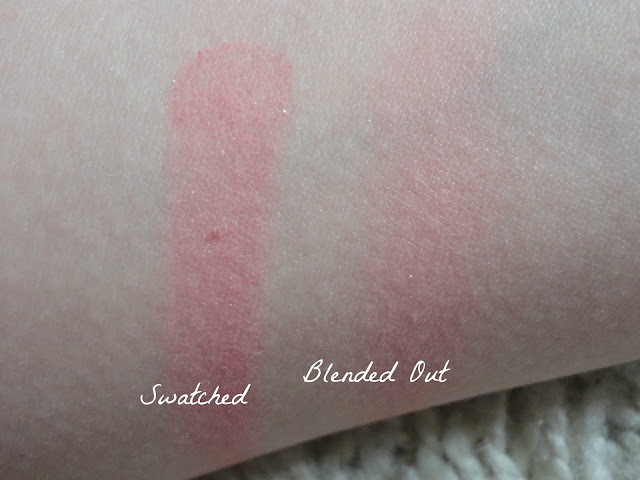 As you can see from the swatch above, this blush blends out beautifully, and the shimmer translates onto the skin without looking glittery - perfect.